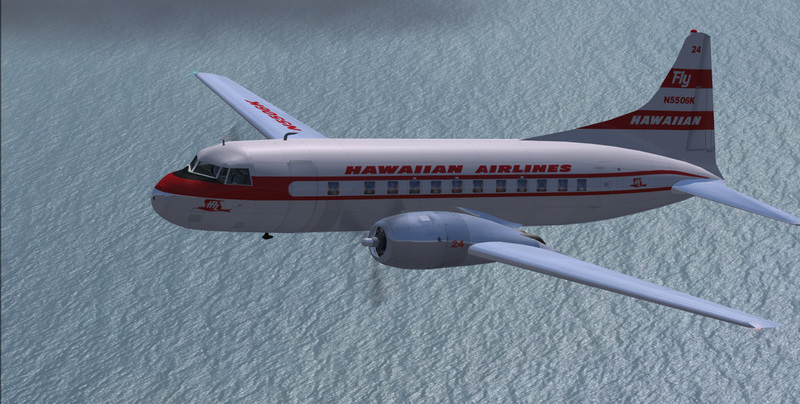 CV-340 Hawaiian Airlines N5506K circa 1958. 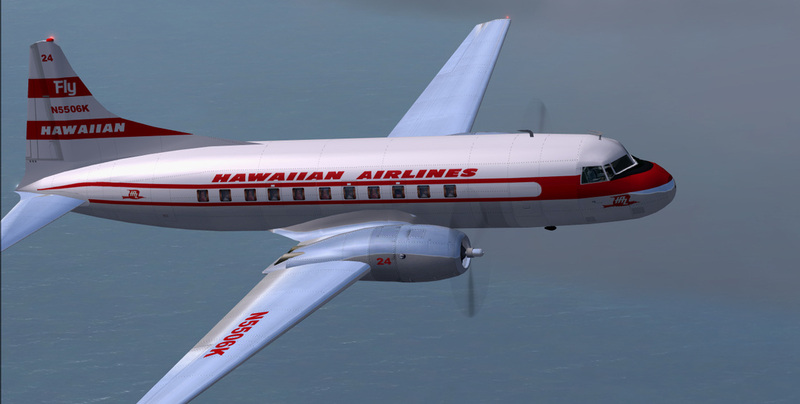 CN#24 was built in 1952 being delivered to Hawaiian and in service until 1961. 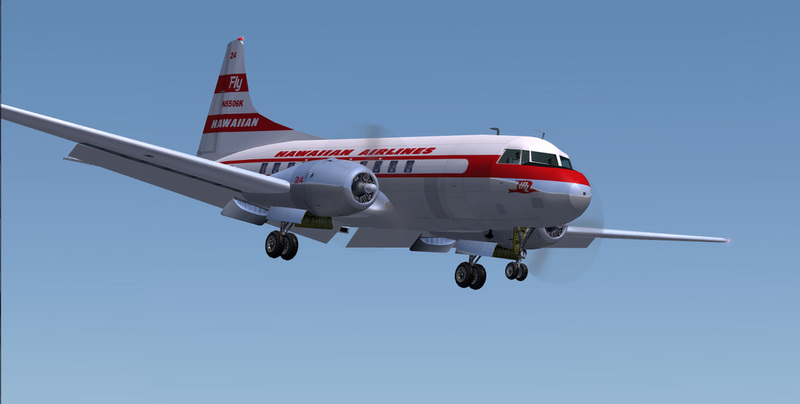 Re-paint is a remake of my 2011 Fs9 version.